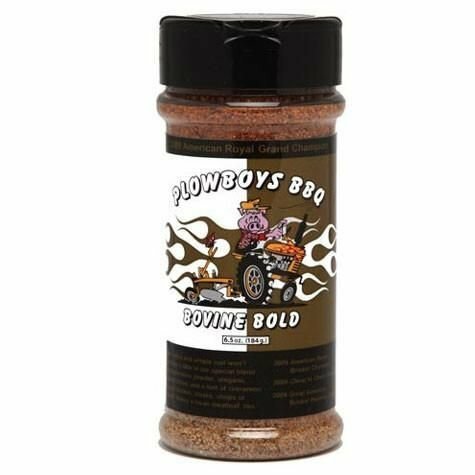 Bring your briskets, roasts, and steaks to life with Plowboys BBQ Bovine Bold Seasoning. This grill rub helped Plowboys BBQ win the brisket category and overall grand champion at the world series of BBQ, the American Royal. Bovine Bold's Kansas City flavor will bring your large cuts of beef to life, and works great on meatloaf and burgers as well. Comes in 6.5 oz. shaker container.